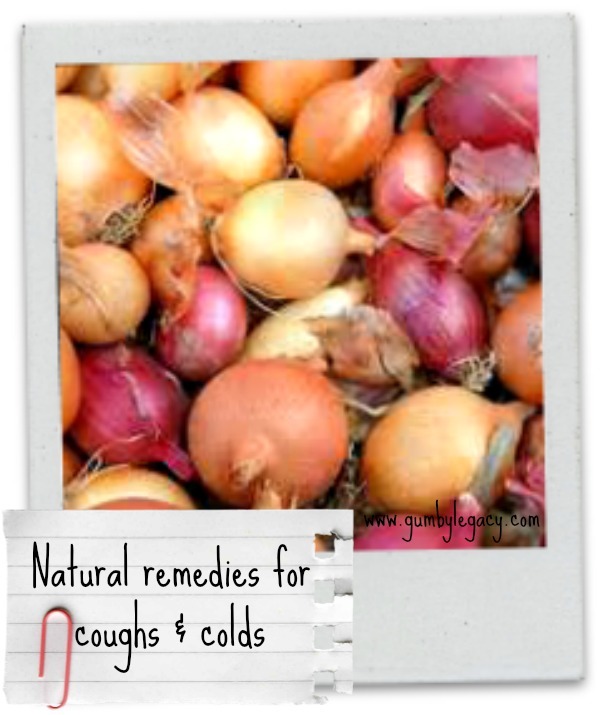 With all the sniffles and snuffles going around with the change in seasons, here are some natural remedies to try for halting a cough or cold in its tracks. Grapes are supposed to be a natural expectorant so eat lots of these tasty little fruits or mix grape juice with a little honey. The strong vapour emitted by an onion could help stop coughing so, before bed, cut one into quarters and leave it on a plate on your bedside table. This one could be useful for kids and babies if you fancied giving it a go – it might leave everyone crying though! This one sounds a bit disgusting but apparently it works – peel and finely chop an onion. Spoon some honey into a bowl and add the onion, stirring well. Leave overnight for the juices to mingle, then take a teaspoonful two or three times a day. For instant relief, peel an onion and blitz in a blender. Place in a bowl, add juice from one lemon and a cup of boiling water. Mix well with several teaspoons of honey then take this as needed to instantly soothe an annoying cough. Drink lots of fluids to replace the liquids you’re losing due to your streaming nose and high temperature sweats. Drink warm drinks which soothe your throat and help to cough phlegm up. Eating healthy and nutritious foods provides your body with the goodness it needs to recover. Ginger tea is warm and comforting if you’re feeling shivery. Cut a small piece of ginger into shreds, boil in a little water for a few minutes, strain into a cup. Add honey to taste and enjoy. Ginger can also help if you are feeling nauseous which can be a horrid symptom of a cold. Raw garlic has strong anti-bacterial properties and will give your system a boost. If you’re not worried about sending people on their way as well as your cold, try a fresh tomato and raw garlic sandwich as soon as you feel a cold coming along. Lemon balm leaf tea is an excellent drink if you have a fever and helps your body to flush out toxins. Thyme is a useful herb with antimicrobial properties – steep some freshly picked thyme leaves in boiling water for a few minutes to make a germ fighting tea, or rub thyme essential oil with a carrier oil onto your chest to soothe respiratory problems. Please note: DON’T use thyme products at all if you are pregnant. Fascinated to know if anybody has tried any of these with good results or if you have any other suggestions for natural remedies, we’d really enjoy hearing about them.